Design a personalised wallet case for the iPhone 8 PLUS. Put your own design on the front of the wallet case. Convenient and Stylish protection for your iPhone 8 PLUS. The wallet case offers optimal protection for your iPhone 8 PLUS. 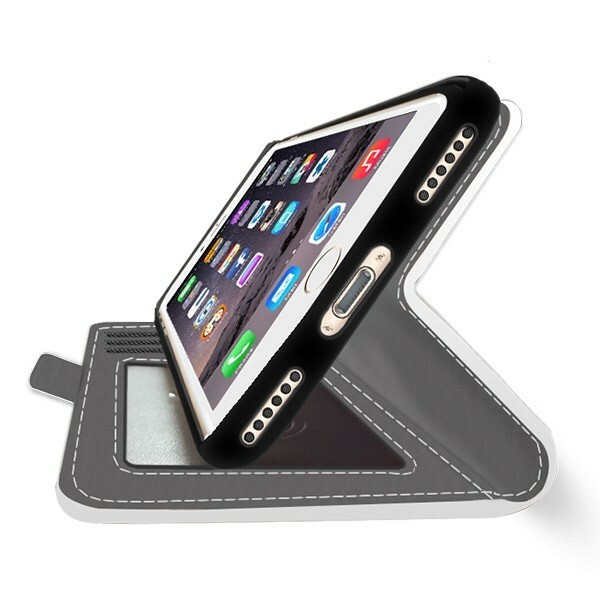 The case protects the back and sides of your phone in a unique and stylish way. The case also provides a place to store cash and important cards. You are able to have your phone and wallet all in one convenient place! 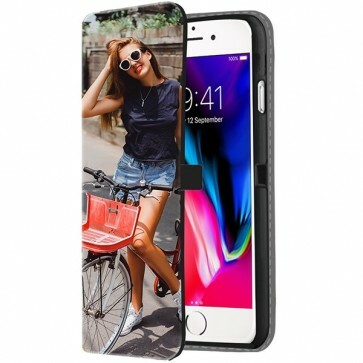 In addition to protection, the personalised iPhone 8 PLUS case also provides a stylish look and allows you to print your photo on the entire case. Show your style to anyone, with a unique photo, quote or logo. Additionally, it is also possible to add text to make your iPhone 8 PLUS case even more personal. 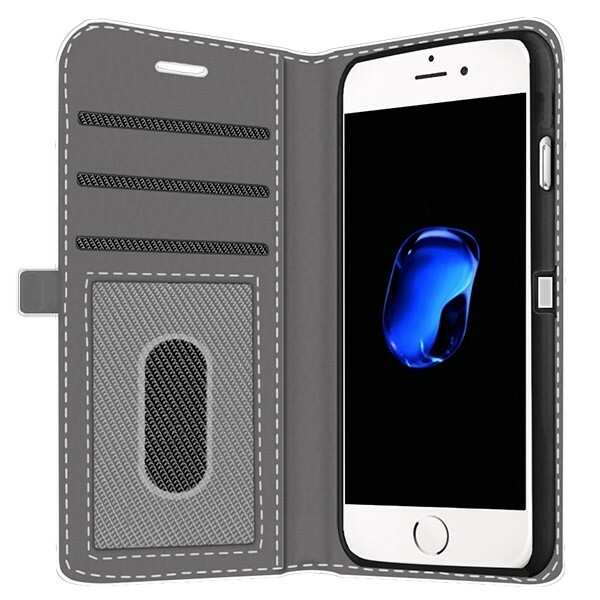 iPhone 8 PLUS wallet case is quick and easy. After selecting the desired case, you can start uploading your own photo, from your computer, phone, Facebook or Instagram. 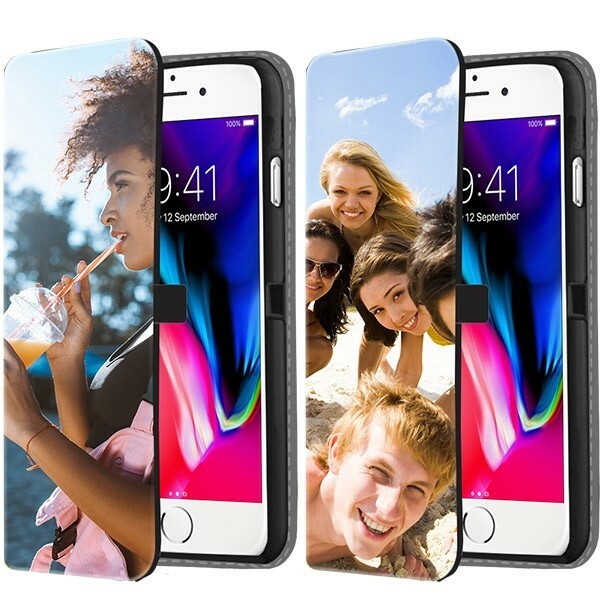 If you do not have inspiration for a design for your brand new iPhone 8 PLUS, then we have some designs that you can use or gain inspiration from. After the photo or design has been uploaded, you can edit the image so that it is perfectly placed and exactly how you imagined it! Your image is printed in high quality on the iPhone 8 PLUS wallet case. The ink that we use is scratch-free, so do not worry about the print rubbing off quickly. Once you have placed the order we will get to work on your case immediately! After the case has been printed, we will send it to the specified address as soon as possible. Within a few days you can expect the case at home! If there are still questions, then don't hestitate to contact us. Send an email to support@gocustomized.co.uk. We are happy to assist you!